engine as ultimately possible meaning lower emissions, better performance, higher miles per gallon and lower risk of breakdown or engine damage. 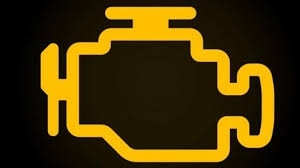 If a warning light like these is lit on your dash YOU NEED OUR HELP!! Modern engines are fitted with a Diesel Particulate filter to trap any particulates passing through your exhaust, the engine then burns off these particulates at a very high temperature thereby cleaning itself. problems can arise which stop the engine from carrying out the cleaning process known as Regeneration. This is the process where the engine Diesel Particulate Filter or DPF is cleaned, It normally happens without the drivers knowledge in the background whilst driving along. This is where the cars attempts to regenerate the DPF and cannot do so. 1) Vehicle stops or slows down stopping the regeneration process. This is where a mechanical issue stops the regeneration from starting, Anything from simple air leaks, turbo system leaks,failure to keep additive levels up, inoperative glow plugs etc can stop the engine from carrying out a regeneration process, only repair of the fault will allow regeneration to take place. This is where an electrical fault stops the regeneration from starting, Failed sensors, Temperature readings and other information that the engine control unit or ECU needs to decide a regeneration is required is not available. Don't get us wrong WE ARE NOT CALLING YOU A BAD DRIVER, Many Diesel Cars & Vans fitted with DPF's were simply sold to the wrong people. A Diesel car or van fitted with a DPF needs to be driven at a constant and consistent motorway speed for 20 minutes or more to be able to carry out a Regeneration if at any time the vehicle is not driven to allow this to be done over time the DPF will clog up and your vehicle will slow down and if not repaired may even stop running. So if you bought your car or van to run a few miles to the shop each week or go to work via urban roads with lots of stop start you were sold the wrong vehicle. 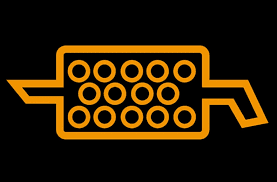 You will need to regularly do motorway miles as above to ensure your DPF regenerates and does not clog up. So if you have number 2,3 or your DPF is excessively clogged due to 4 WE CAN HELP !! without fitting a new DPF at a cost of thousands of pounds on some vehicles. 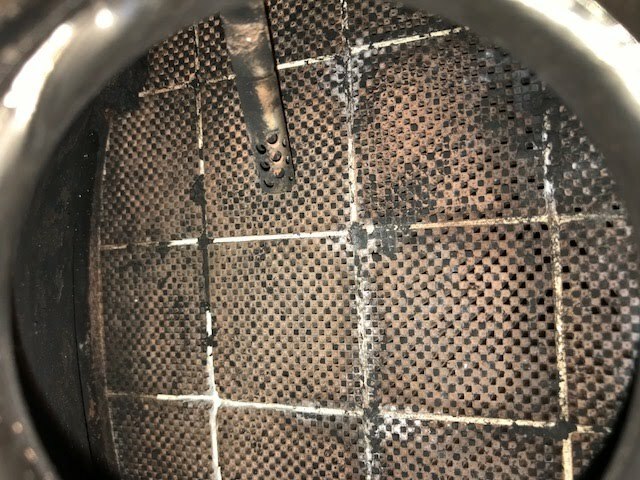 This photo shows the extent of the blockage of the DPF filter that can occur if left too long. And this image shows what it should be like IE: with holes for the gasses to pass through. On vehicle cleaning is the best option, avoiding damage caused by trying to remove a part that can be heavily corroded on. layer that is the active part of the filter can be easily done if you use the wrong chemicals. 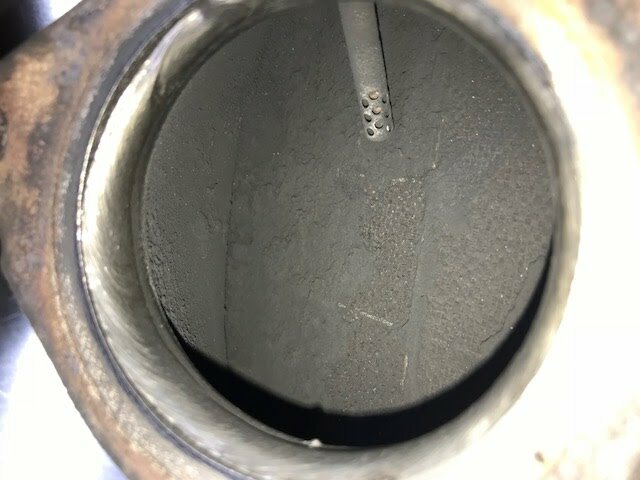 Extreme caution is advised if you are considering trying to clean your own DPF using incorrect chemicals we have heard of people using oven cleaner, bleach, drain cleaner, Brick acid, battery acid etc infact just about anything they can find. We have also heard of problems caused when using the off the shelf DPF cleaners you can get for less than £10 in some supermarkets and Diy stores. Now we are are not saying they don't work because we haven't done any testing with them BUT we do know of several vehicles that have had to have very expensive new DPF filters fitted following it's use. One other very important issue to remember is that DPF regeneration requires your exhaust to become very warm, this has been known to melt tarmac and shatter concrete (it can explode with the heat and shoots little bits around like bullets) when done with a stationary forced regeneration. Some car manufacturers have been forced to recall cars with this over temperature issue caused by a software glitch, the first the driver knew was the gear stick catching fire quickly followed by the whole car bursting into flames!! as if not better than other chemicals on the market thus avoiding many of the risks we have just highlighted. Permanently Deleting or Removing a DPF from a vehicle and subsequently using that vehicle on the public highway is a criminal offence punishable by fines of thousands of pounds. 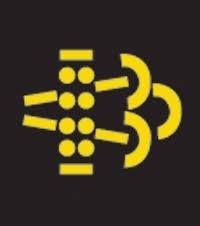 In addition new MOT rules in April / May 2018 will make it harder to use a vehicle with a faulty or missing DPF, also any warning light related to emissions will be an MOT fail.